Noah performed on Show 234, recorded in May 2011, at age 15. Noah Kim (guitar), 15, comes from San Marino, CA and attends the Polytechnic School in Pasadena. He studies the guitar with Felix Bullock at the Pasadena Conservatory of Music. Noah has been a member of several ensemble groups and his school’s orchestra, and has taken master classes with Benjamin Verdery, David Russell, Scott Tenant, and William Kanengiser. 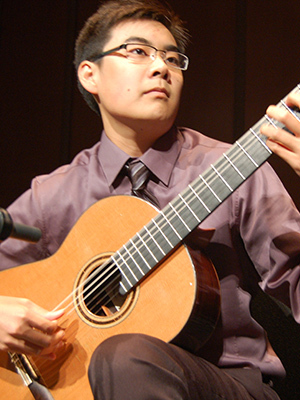 He was selected to compete in the 2009 Christopher Parkening Young Guitarist Competition. When he’s not playing guitar, Noah enjoys writing, drawing, painting, and reading.